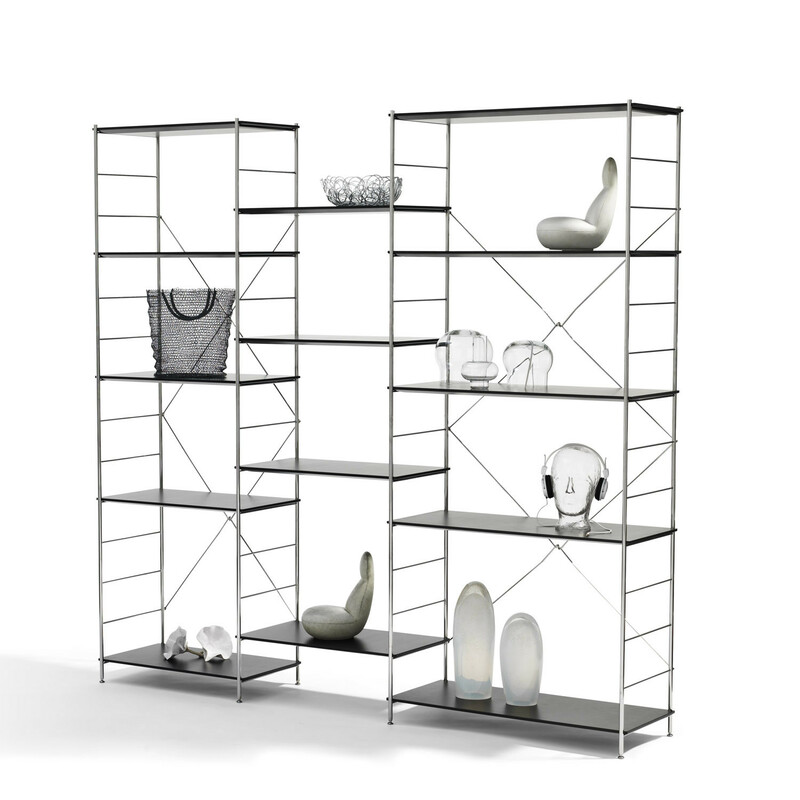 KliM is an award-winning functional storage unit. 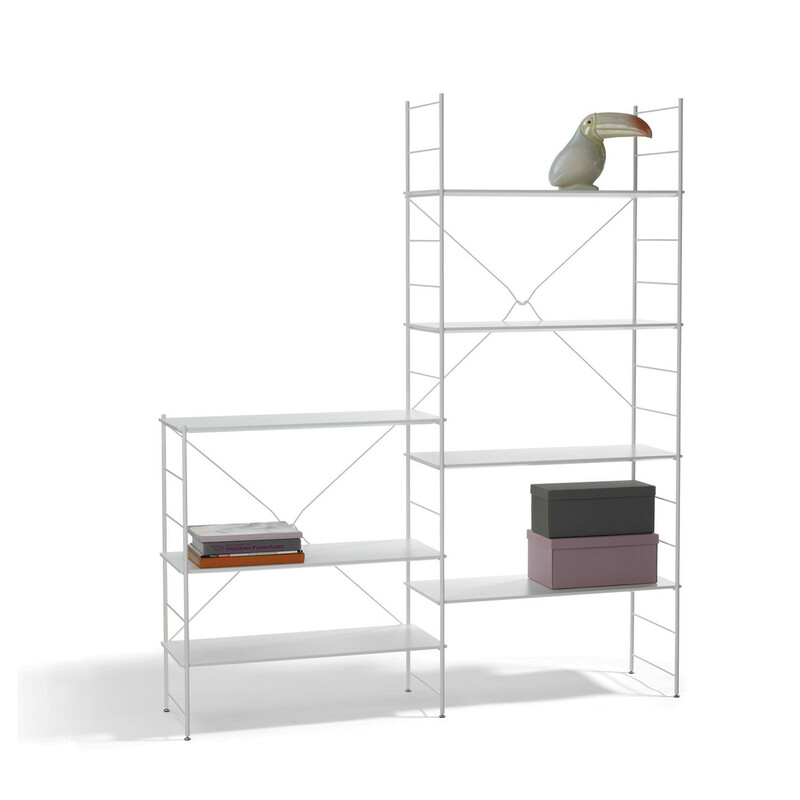 KliM Shelving System consists of ends in two heights, crosses and shelves, whilst the depth remains the same. You can build a variety of combinations. 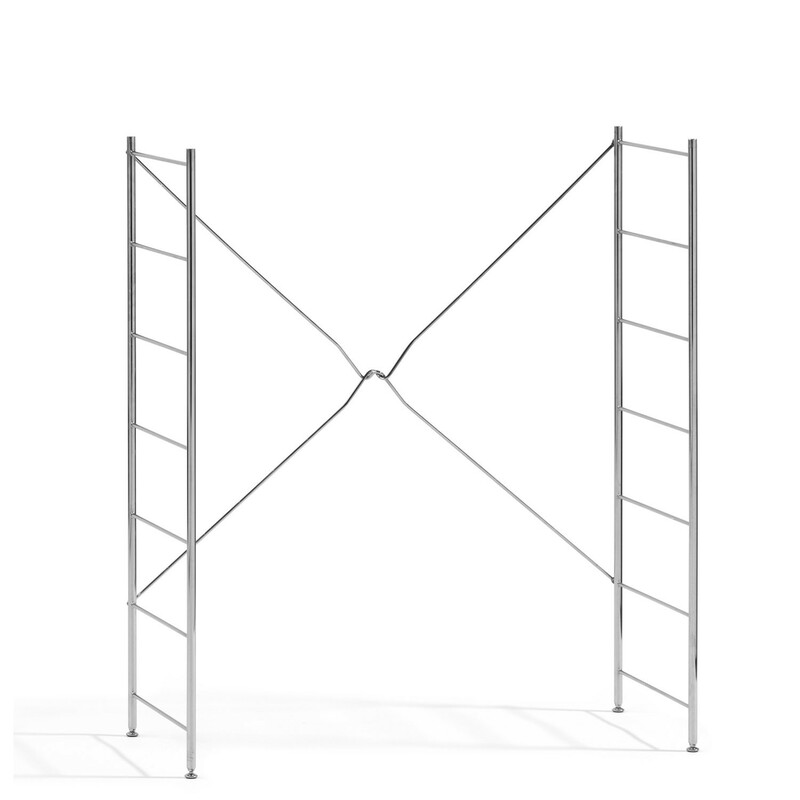 The high start-section can be paired with both high and low start or extension sections. Low start-sections can only be paired with low start sections or extension sections. 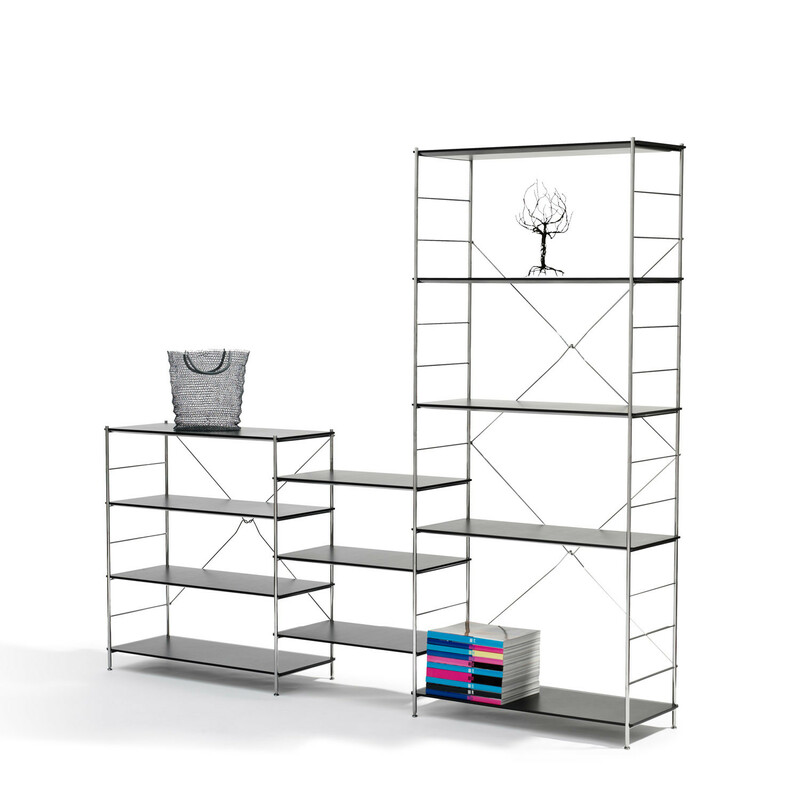 Two stand-alone start sections can be paired with loose shelves between. The shelves are always sold in 2 packs. 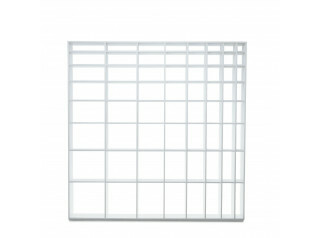 A simple and anonymous storage system; quickly change or move KliM whenever you need to. 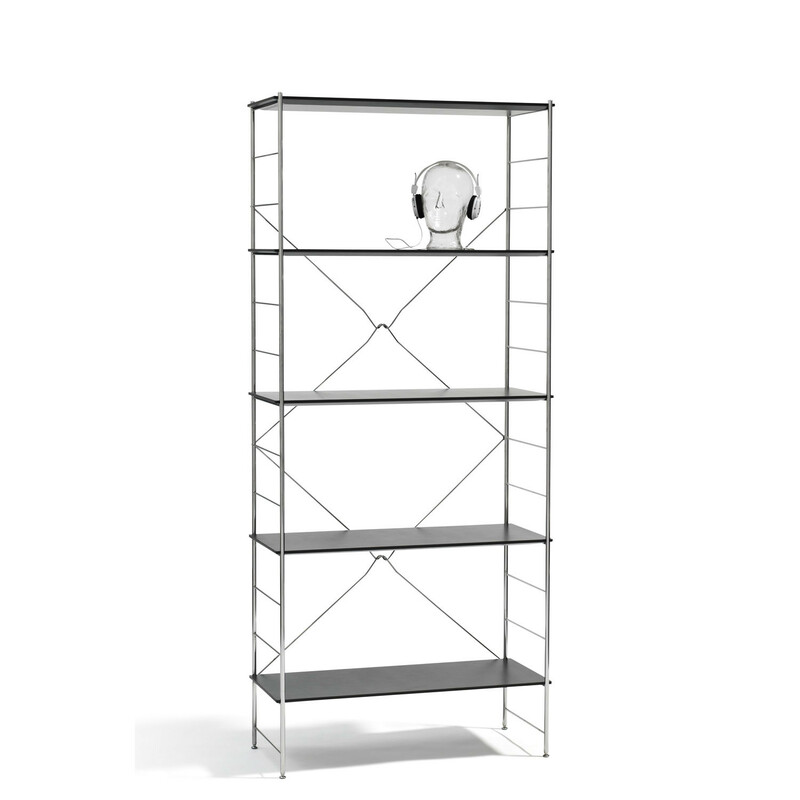 Furthermore, KliM Display Storage leaves no ugly holes in walls, ceilings, or floors, leaving your open office or home intact. 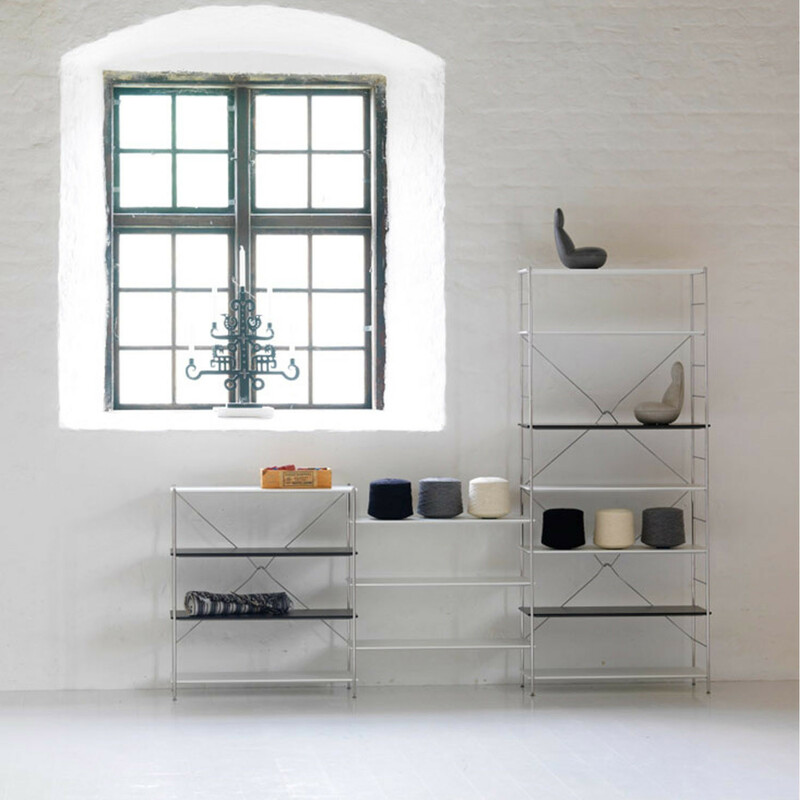 A beautifully functional piece of design from Christian Göbel, it won the MoA award from Iittala Finland and an award from the Finnish furniture Foundation when it was still just a prototype. 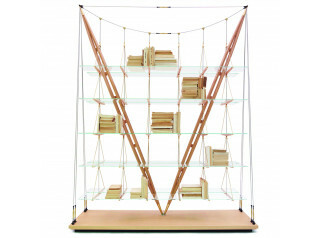 Side-frames (endings), shelves and crosses. 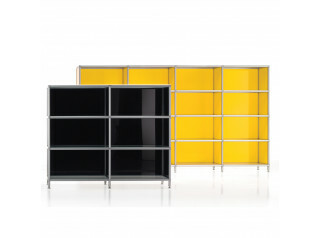 Steel frame and cross in green chrome (chrome III) or white lacquered. 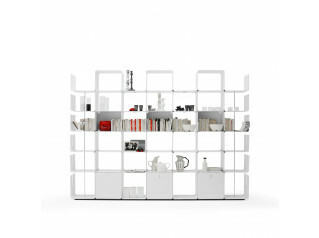 Shelves in black or white lacquered mdf. 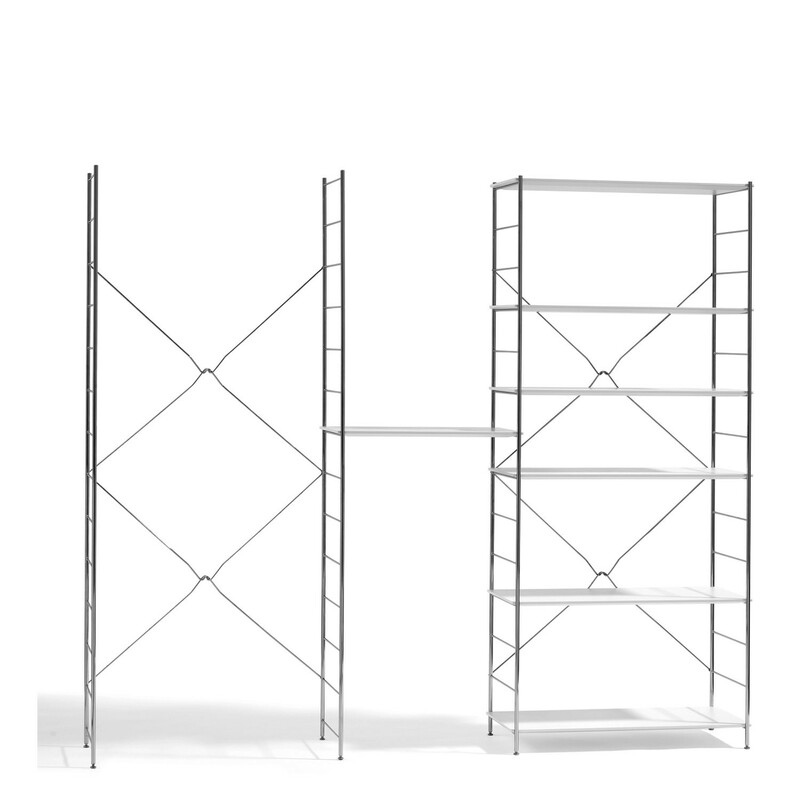 You are requesting a price for the "Klim Shelving System A4"
To create a new project and add "Klim Shelving System A4" to it please click the button below. 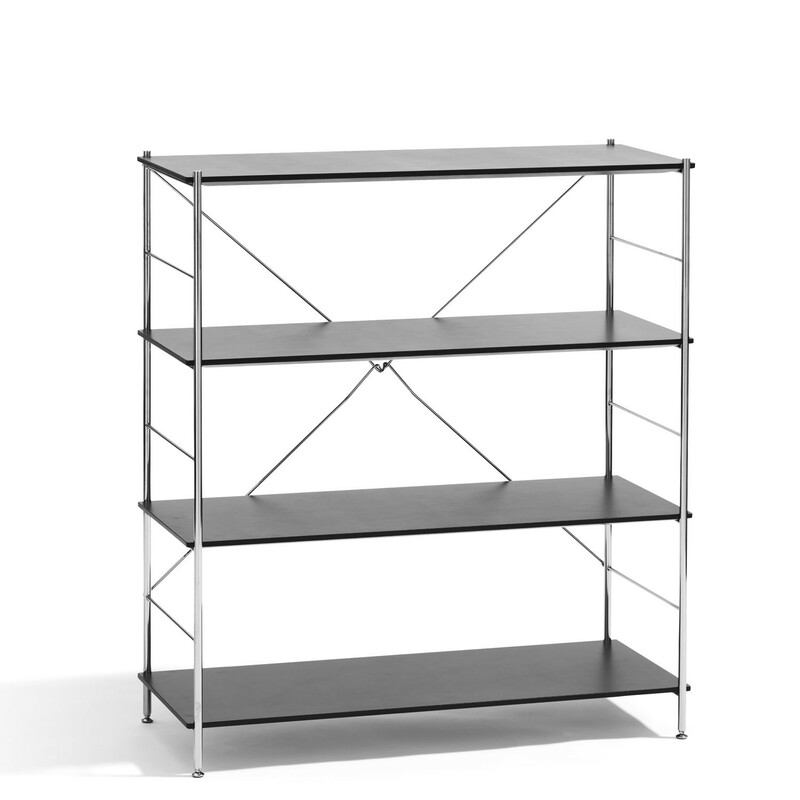 To add "Klim Shelving System A4" to an existing project please select below.